Robot vacuums might sound like something out of the Jetsons or the Twilight Zone, but they’re actually easily accessible, often affordable little machines that can help make your life a bit easier every day. If you’ve got allergies, for example, and can’t keep up with vacuuming every single day because, well, you’re busy, a robotic vacuum is perfect. Robot vacuums take over for you and keep down the dust and pet hair. They also handle the hardwood floors and sanction up the loads of dirt that you can’t see lurking in the corners. A man named James Dizon created the first robot vacuum cleaner. In 1996, the Swedish company, Electrolux, produced that robot vacuum cleaner and released it for purchase by consumers. Of course, back then, these pieces of machinery were extremely expensive and unaffordable for the normal consumer. 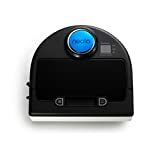 Since its release in 1996, other companies, like Dyson, Neato, and iRobot have crafted and released dozens more options in the robot vacuum category, gradually making the machine more and more affordable for the common man. As that time has passed, robot vacuums have gained more abilities beyond the remote control design of previous designs. Now, these machines can navigate a room completely on their own without bumping into objects, can map and note changes in a room, can be programmed to work on their own while you’re away, and some models can even mop or use UV sterilization features. Most of us just need a good solid vacuum, though, that helps us get up dirt and pet hair throughout the day. We love the Neato Botvac D80 for a lot of reasons. Its features, battery life, navigational system, and suction capabilities are just a few of those reasons. This fantastic little machine is specifically designed to help you get rid of pet hair. If you’ve got a long-haired kitty, an aggressively shedding dog, or even a Chihuahua with a balding spot, this is the robot vacuum that will do the trick. Each Neato Botvac D80 comes with high-performance filters that capture fine dust particles, and all that pet hair. The Spiral Blade Brush works in tandem with the powerful suction action to create super clean carpets, and even leaves behind that freshly vacuumed pattern on your rugs. The side brushes also get you deeper into corners for the best clean possible. 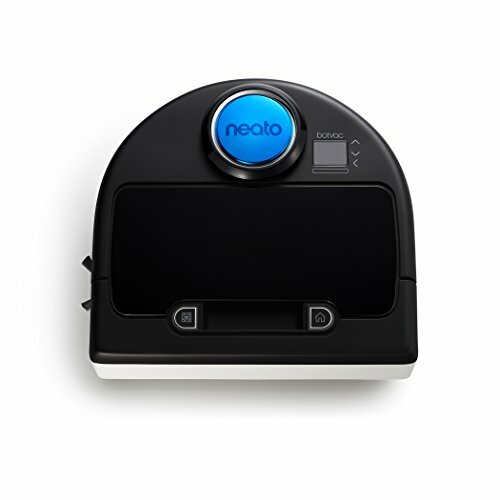 The Neato Botvac D80 also features the combo brush that moves from floor type to floor type, and keeps down the volume during cleaning. One of the best parts about this robot vacuum is its capability to get the whole house clean in one run through. Covering up to 3,000 square feet on one charge, this fantastic little machine has your home clean, on the regular, with just a button push, or a pre-programmed plan. And, of course, it recharges when it’s done, heading back to docking station on its own. We love no hassle cleaning, which is part of why we love robot vacuums. The Neato Botvac D80 has a fantastic navigational system. It’s all about lasers with this bot. Using the LaserSmart™ system, it easily navigates a room, avoiding those noisy or jerking bumps that can throw off your day. It easily navigates between carpet and hard floor surfaces, and identifies off-limits areas through boundary markers. One of the things we love about the Botvac D80 is its easy to use functions. It’s programmable, so it covers your home while you’re away. Pet hair and dust get sucked away, so you don’t come home to clouds of fur during shedding season. You can regularly schedule it before bedtime to get up those normal messes the kids make, or even just clean the kitchen floor for a routine sweeping. Of course, you can also push a single button for spot cleaning when there’s a little more dirt than usual. One of the things that makes the Neato Botvac D80 perfect for getting into hard to reach spaces is the squared edges. Unlike traditional rounded vacuum cleaners, the square edges align with corners, rather than bumping into walls and leaving a triangle of dust behind. If you’re in the market for a vacuum cleaner that’s going to help you stay on top of pet hair, dust, and the basic daily cleaning, the Neato Botvac D80 is a strong contender. Its easy to use functions, navigational system, and various brushes combined with the powerful suction action will take your carpet cleaning to a new level, without ever lifting a hand. Well, without lifting any after that initial programming at least.